Sky Watch Civil Air Patrol (Northern Ireland) have carried out a search for missing man Dean Patton on Ramore Head, Portrush, using an un-manned aircraft. The search took place at first light on Friday 24 August 2012 shortly after low tide, at approximately 6.40am. High definition video imagery was recorded by the drone at various altitudes. All of the headland, cliff-faces and rock shelves plus 100 metres out to sea was captured. The un-manned fixed-wing aircraft was in the air for just over 5 minutes. The request to search was made by Dean’s family and the data collected has been handed over to Coleraine CID for analysis. The pilot was on the ground observing live telemetry of the flight. 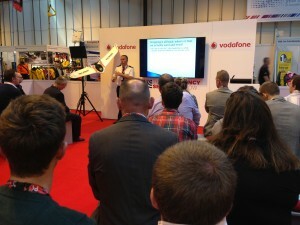 The aircraft was stabilised using the onboard auto pilot. The aircraft is battery powered and is made of foam. It has a 1.4m wingspan and weighs just over 1kg. Sky Watch Civil Air Patrol carries out humanitarian airborne search missions on behalf of statutory agencies, voluntary organisations, families and individuals. The collected imagery is handed over to the agency or individual who has asked for the mission. Sky Watch does not analyse the imagery. 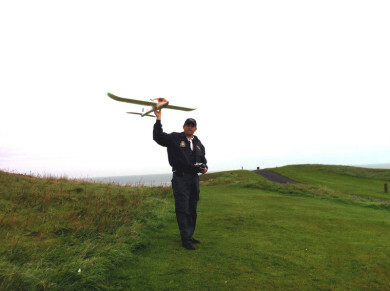 Sky Watch Civil Air Patrol (Northern Ireland) has permission from the Civil Air Authority to operate drones in the UK, in full compliance with the Air Navigation Order 2009. For further information please contact: 028 9261 3844 or email office@nicap.info.